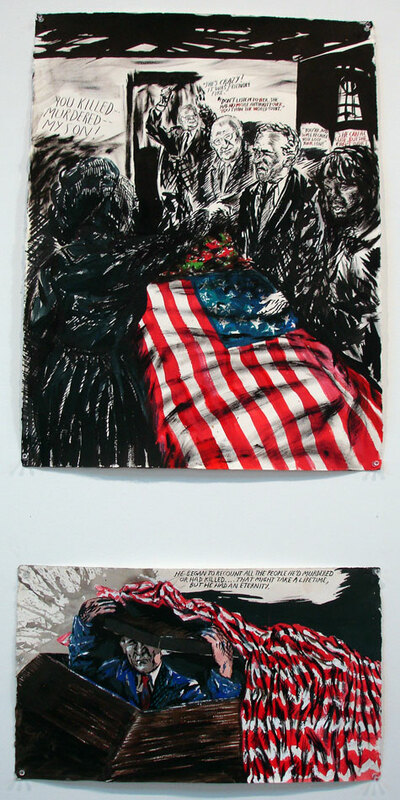 As an artist and professor, I try to make the rounds to the Chelsea galleries with each new round of exhibitions. However, over the years, I’ve narrowed the number of galleries that I stop through, because there are so many and for the most part I think that most of the work I see in Chelsea is really bad. One of the galleries that I always try to stop by is David Zwirner, because the work presented there usually reflects my flavor for an ideal combination of content and execution. I generally see compelling work that is well done. 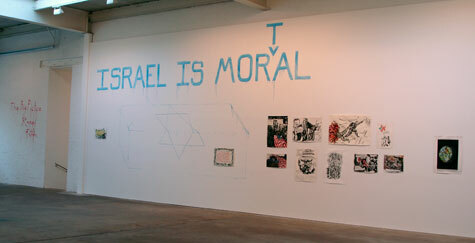 And the current exhibition by Raymond Pettibon, “The Big Picture” is a great example of this. 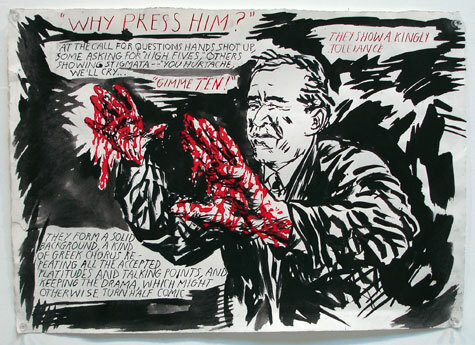 Pettibon’s drawings are beautiful and exciting. 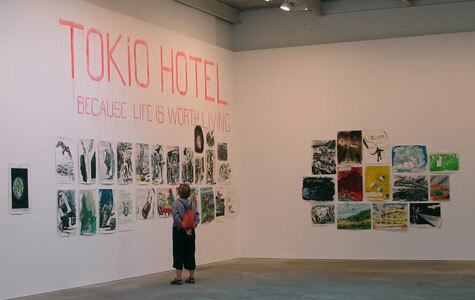 They are the sort of drawings that make one want to draw, because they are full of energy, they tell a story, they pull the viewer in and they are topical. 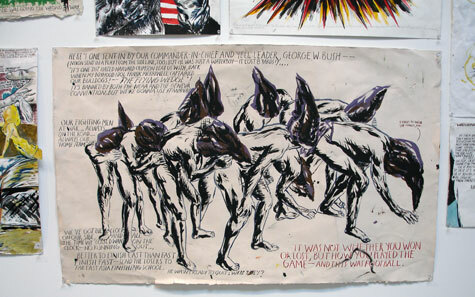 Through his drawings, Pettibon lays it out, this is the world that we live in and it’s fucked up. On the other hand, Zwirner also shows bad stuff. 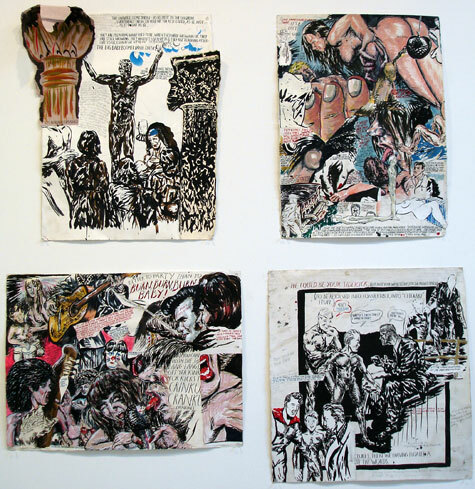 Step out of Pettibon’s Big Picture, down the hall way to Chris Ofili and you’ll see Modernist junk. Incredibly boring work with a precious price tag. Presentity by Kabir Carter was one of the most unique public art experiences that I’ve had in a very long time. This is primarily due to its honesty and subtleness. The project did not involve any spectacle, rather it was a highly private experience carried out in tourist center filled with activity. A few weeks before the dates of the performance, Kabir emailed an invitation to be audience to Presentity. Eager to listen to Kabir’s work and spend time with the sound artist, I replied and he wrote back with a time and date and that I would receive a text with the exact location the day of the performance. It was all a bit mysterious. On Saturday August 18th, I received the address – the back stairs of City Hall on Chambers. That afternoon I sat and waited for Kabir as firetrucks rushed by to the Deutsch Bank building where a fire exploded. There was one other guy who showed up and looked like an artist. Kabir showed up carrying three walki-talkis, he introduced us and we began to walk. On Chambers we walked east, turned the corner at Centre Street and entered a very old subway elevator. We rode the elevator up and down twice, the first time with one other person, the second time, only the three of us and the performance began. Kabir manipulated the walki-talkis to create the electronic sound performance, we merely walked with him and listened as carefully as possible. We exited the elevator below ground, entered the subway station, walked through the tunnels, up the stairs and back onto Centre Street, walking adjacent to City Hall, listening carefully. Then crossed the street toward Pace University. Bent down to the ground to listen to the sounds resonating within the cavernous space below a steel grate. Again we entered the subway, this time via a desolate subway entrance at the corner of Pace University, we walked through a long, empty subway tunnel. We exited the subway and the performance ended. The walk and performance were a delicate intervention upon the City Hall area of New York City, I call it delicate because it was comprised of three individuals focused upon careful listening in a saturated space where focus is difficult to achieve. I felt that the sound performance began a bit awkwardly, as if Kabir needed a bit of time to catch his rhythm. However the elevator was a highly successful tool for spatial transfer… I’m not sure how to put this. The elevator was very successful in creating the sensation that we were being taken to a different place, to a site within a site… to our own place, a private space shared between us three individuals but located within the City Hall Park area. At first the most difficult element personally was negotiating between getting out of the way of pedestrian traffic and listening to the performance. But as we continued, the listening took presedence over the concern of allowing pedestrians by. Also as the performance continued the sound began to coalesce, there was meat to it, it sounded as a concert or performance and not merely noise trying to find its language. High numbers of children with asthma? Adults afflicted with cancer? What was previously buried in the land near a small town? What pollutants flow in the tap water of a given region? Are you living near a Superfund Site? In 1980, Reagan reluctantly implemented the Superfund Act, initially written by the Carter administration due to civic demand for the government’s acknowledgment and action to clean up hazardous sites. Today the Superfund is broke, there is little money to clean up past sites of waste and environmental disasters, but people still have a right to know and to learn about the environments we live in, however the Environmental Protection Agency doesn’t make this easy. Concerned citizens may request Superfund data from the EPA, but the data tends to be dirty – missing information or out dated information, so it’s a good thing that Brooke Singer (full disclaimer – she’s my wife) with the support of turbulence.org has launched Superfund365. Each day from September 1st 2007 through August 2008, Singer will post a data visualization of a Superfund site. Superfund365 presents a wealth of information on the United States environmental reality. As there are thousands of Superfund sites in the United States of America, Superfund365 only paints a partial picture of the damage to this region of the world, however it is enough to get an insight into the environmental disasters heaped by industrialization and commerce. The project is an incredible exercise of environmental data visualization at a time when people are becoming increasingly conscious of the changes that we have inflicted upon our planet.